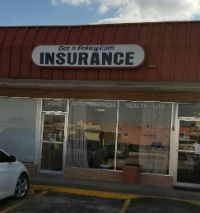 Get A Policy Insurance Services provides insurance coverage for employees to businesses in Greenville, Royse City, Caddo Mills, Rockwall, McKinney, Fate, and surrounding areas. Your business is a multifaceted machine that requires protection at every level. The people who make your business go deserve the assurance that they are covered at all costs. At Get A Policy Insurance Services, we understand that quality coverage options for your employees will ensure that your business attracts and maintains the best workers.